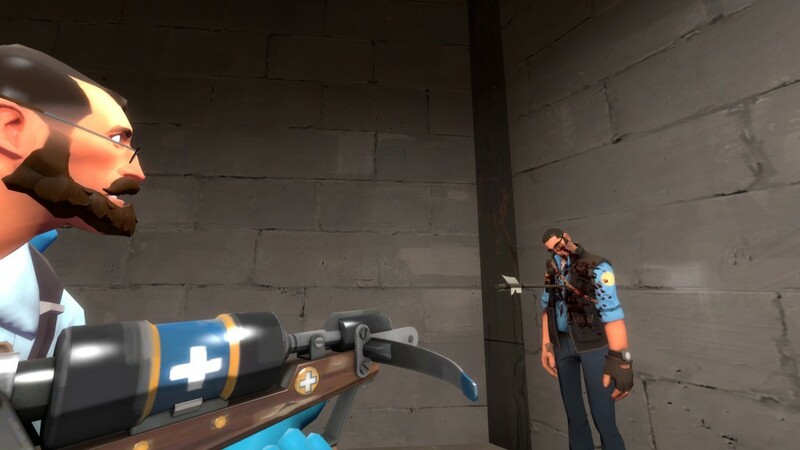 As we all know, TF2 is a perfect game with absolutely no flaws. As a matter of fact, not only is it completely flawless now, but it’s actually remained a perfect game since the day it came out, with a grand total of zero glitches for the past seven years. That’s pretty impressive. But every so often Valve feels the need to remove legitimate gameplay strategies such as “Taunt with Amputator, disconnect from server, your team regnerates health indefinitely until the server crashes or changes maps.” Here are the ones I miss the most. 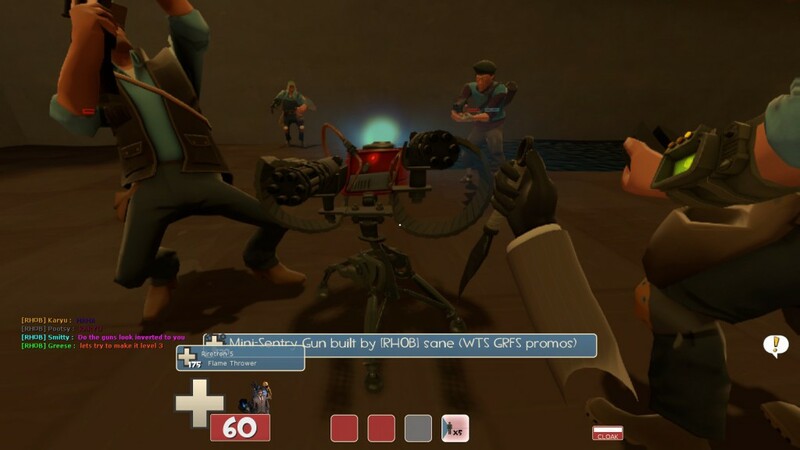 Is a regular sentry gun cute? Maybe a little, but not really. Is the mini-sentry cute? It would be if it wasn’t one of the most annoying things in the game currently. But this gun? It’s adorable. I want a plush. Who’s a cute derpy sentry gun? You are! Picture by AWSmith11. Back in 2010, you could make your own by hauling a regular lvl 2 sentry to a resupply cabinet and switching to Gunslinger, and it behaved like a minisentry with 2 barrels. Much more recently the glitch returned on a purely cosmetic level with the introduction of the Red Tape Recorder. Had “Story of a Sentry” starred one of these, I would have actually considered it worthy of winning the Saxxies last year. 2. To 5th Sniper from Cupid Medic. With love. The Crusader’s Crossbow is a great weapon. I wrote an entire article discussing this fact. And had I written that article before February 2013, this hidden function would have been the kicker: Disconnecting or switching to spectator while the arrow (at the time it used the Huntsman projectile model) was in the air caused the arrow to become neutral, capable of damaging both teams. The practical uses for this function are obvious. “Oops! I had NO IDEA zat vould not heal you!” Picture by Gen. DeGroot. This was in the game for a very long time, and I’d gotten quite good at it before enough snipers whined at Valve and they fixed it. While simultaneously breaking my heart. Goodness knows how Valve caused this one. But for a brief time, binding some keys in your configs allowed spies to spawn level 1 dispensers at the rate they can deploy sappers. No metal cost. It was awesome. 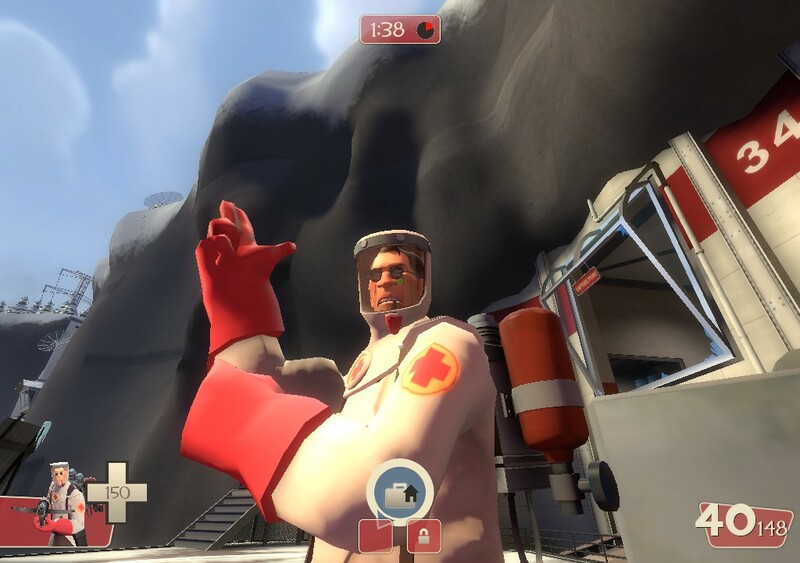 Here’s a video of the best day in Team Fortress 2. It truly was less than a day: Valve got up and fixed this one FAST. For some reason they thought it messed with game balance somehow. But the spygineer will never be forgotten. He’s up in heaven right now, probably causing it to crash via entity overflow. When cp_doomsday_event introduced bumper cars, the mini-game was locked firmly in Hell (where it belonged). Unless a savvy player used his Eureka Effect at the exact moment everyone teleported to the arena, letting just that player tour the map with impunity! Clicking “View all inventory items” while selecting your melee weapon allowed you to choose any stock primary to stick into your melee slot. This was pretty amazing for almost every class (Who can say no to firing 8 rockets or pipes without having to reload?) but the most broken build was absolutely the Buffalo Steak Sandvich heavies, who could blitz around firing their ‘melee minigun’ with impunity. Thankfully it took Valve less than a day to patch this one. Alright, I’ll admit that there were perfectly good reasons to fix the aforementioned glitches; fun as they were, they really were hurting TF2 in some way, however small. But this one wasn’t; it was pure power to the player. And there were several ways to do it. The main goal is to bypass the “conflicting cosmetics” checkers so you can wear misc’s together that would otherwise not be allowed. One method involved disconnecting from the internet while equipping the second item, another used multiple loadout slots and shuffled the order you equipped them, guides are easy to find online for a number of strategies. But Valve didn’t like this and to my knowledge has patched every easy workaround. Why, Valve? What’s so wrong with equipping these together? It was a sad day, as were the days of all the other patches on this list. But rest assured there are other glitches out there that we can all still love (currently my favorite is that you can repeatedly overload your Beggar’s Bazooka during humiliation and kill the winning team) but I urge you to go enjoy them now: you could lose them in the blink of a Steam Update.